Kate Dorrough is an artist based in Sydney, Australia. 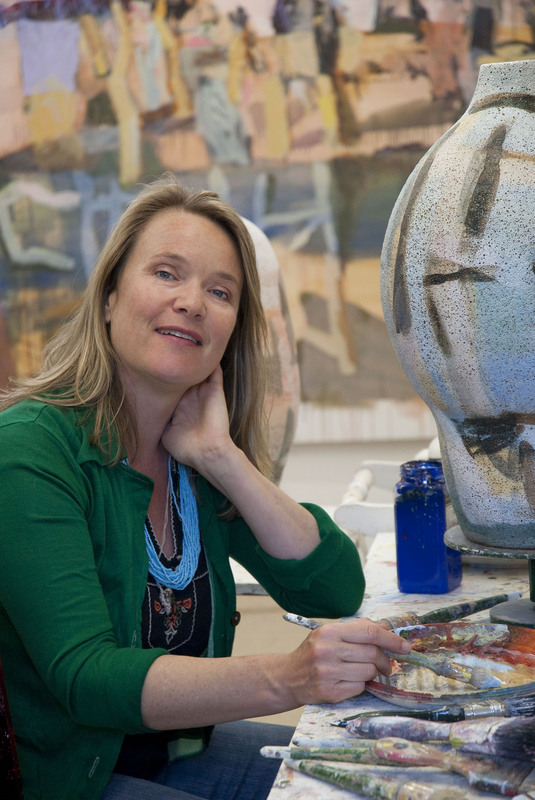 Kate exhibits her work throughout Australia, selected group exhibitions and has undertaken numerous artist residencies. Her work explores the notion of the landscape, and its inland river systems. In an enduring landscape, the river is a vital and pivotal life force, the bestower of fertility, a source of survival, with its cyclical nature of renewal and destruction. Kate’s work interacts between painting on canvas and hand built ceramic forms, a conversation between paint and clay. Totemic symbols of the landscape; the river, the trees, the rocks and the broad spatial vistas infuse her work. Kate has completed a Bachelor of Visual Arts, Distinction, (Drawing and Painting) Canberra School of Arts, Australian National University, and a Master of Arts (Painting), College of Fine Arts, University of New South Wales.